Microsoft Xbox One is the latest gaming console replacing the 360. For Xbox One game deals (and accessory), this is the page you're looking for. Looking for deals on the console itself? Check these Xbox One or Xbox One S deals. Looking for more information on which is the best Xbox One S bundle to buy? We've got that covered too. 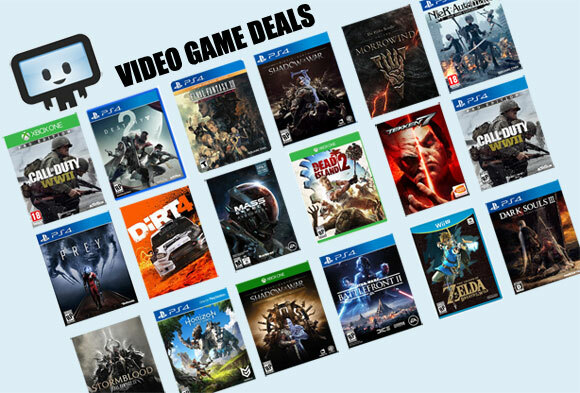 Browse our deal feed below for upcoming Xbox One pre-order game deals, or sort by recently released titles. Most games and accessories (such as Xbox One controller deals) will have price history accompanying them to help you make better-informed buying decisions. Questions on a deal? Leave a comment and our deal editors or fellow bargain hunters will help out!